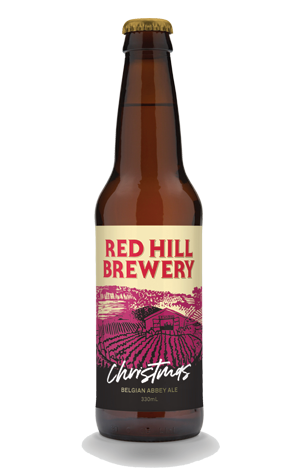 Red Hill's Christmas Ale was one of the brewery's very first seasonal releases, designed in conjunction with NZ-based Belgian ale maestro Ben Middlemiss, and is one that has reappeared every year since. Little has changed in that time, although there has been the odd spin-off such as last year's brandy-soaked barrel-aged partner-in-crime. And now, for the 2018 release, there's another change as it becomes one of the first Red Hill beers to appear bearing the brewery's new look. Almost 15 years after becoming the first of the growing crop of breweries to open on the Mornington Peninsula, they've rebranded and put artwork by local artist Darren Doye that shows their brewery in the heart of the Peninsula with the two bays either side on the bottles and cans. What's inside the Christmas Ale bottles will be familiar to long-standing fans: rich, sweet malts, fruits and spices arising from a gently warming dark copper beer.